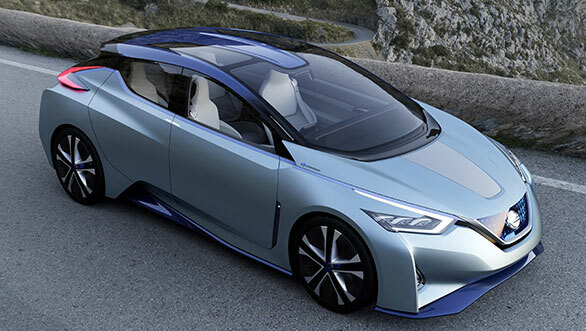 At the Tokyo Motor Show 2015, Nissan Motor Co., Ltd. unveiled a concept vehicle that embodies company’s vision of the future of autonomous driving and zero emission EVs: the Nissan IDS Concept. Nissan’s forthcoming technologies will revolutionize the relationship between car and driver, and future mobility. By integrating advanced vehicle control and safety technologies with cutting-edge artificial intelligence (AI), Nissan wants to up its ante in developing practical, real-world applications of autonomous drive technology. Two years back, in August 2013, Mr Charlos Ghosn said, that by year 2020, Nissan plans to equip innovative autonomous drive technology on multiple vehicles. Progress is well on track to achieve this goal. Nissan Intelligent Driving is Nissan’s concept of autonomous drive technology and represents what Nissan believes next-generation vehicles should be. By 202X, expect to see Nissan Intelligent Driving technology deployed on cars in cities around the world. 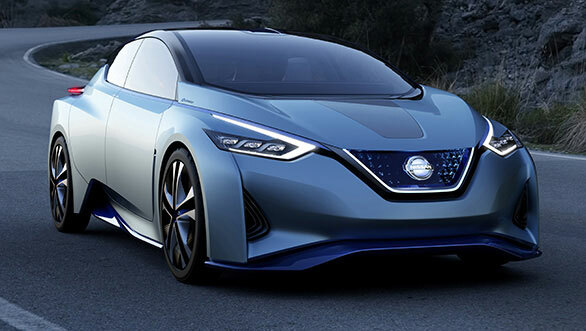 Some have compared a future with autonomous drive to living in a world of conveyer belts that simply ferry people from point A to B, but the Nissan IDS Concept promises a very different vision of tomorrow. Even when the driver selects Piloted Drive and turns over driving to the vehicle, the car’s performance—from accelerating to braking to cornering—imitates the driver’s own style and preferences. In Manual Drive mode, the driver has control. The linear acceleration and cornering are pure and exhilarating. Yet behind the scenes, the Nissan IDS Concept continues to provide assistance. Sensors continually monitor conditions and assistance is available even while the driver is in control. In the event of imminent danger, Nissan IDS Concept will assist the driver in taking evasive action. In addition to learning, the Nissan IDS Concept’s AI communicates like an attentive partner. From information concerning traffic conditions, the driver’s schedule to personal interests, Nissan IDS Concept’s AI has what is needed to help create a driving experience that is comfortable, enjoyable and safe.